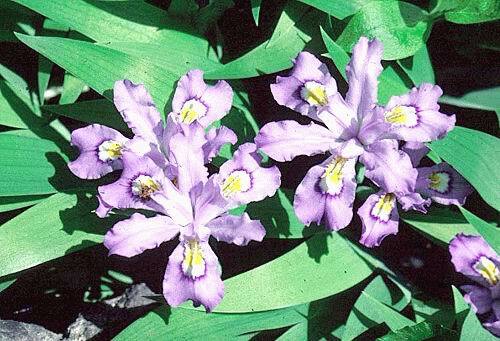 The iris is a long stemmed perennial, 2-3 feet tall, that forms from a root structure called a rhizome. 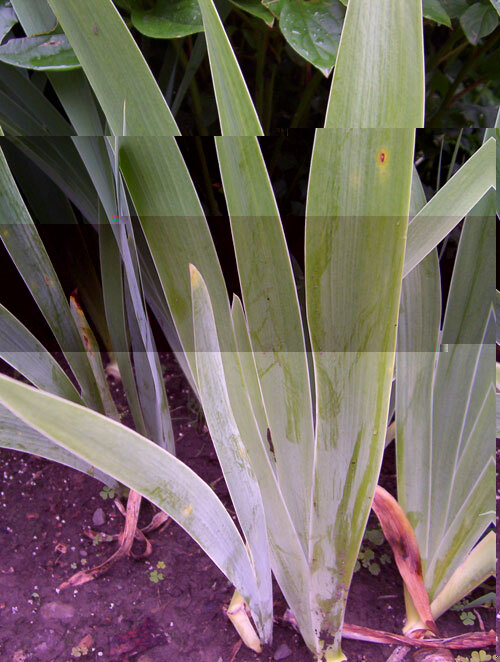 Iris leaves are around 15 inches long, 1.5 inches wide, and sword shaped. Flowers may not have a fragrance but look similar to orchids. 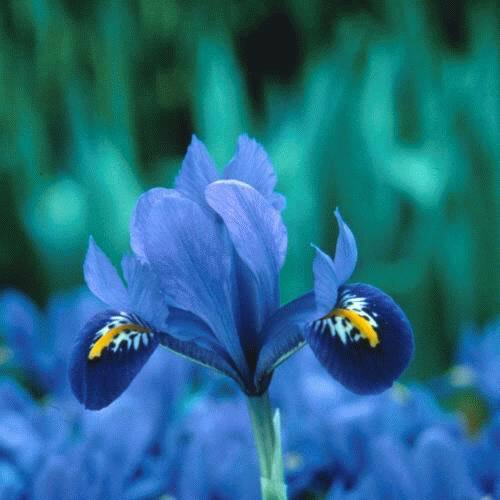 Irises come in almost any color that is appropriate since the plant is named after the Greek goddess of the rainbow. There are even brown and near-black varieties. 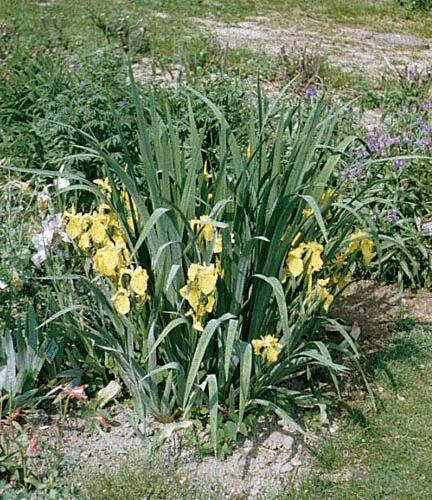 Among the most popular irises are the bearded types that contain tufts of hairs along the lower petals. 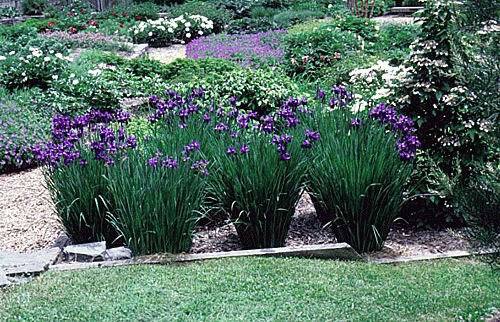 The iris is a popular border plant. 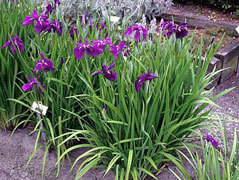 There are many hybrids available as well as dwarf and intermediate sizes so they will go almost anywhere. They will flower throughout May and June but the vertical, flattened foliage is attractive when the plant is not flowering. Where does it grow? How do we grow it? The iris prefers a slightly alkaline soil that is well drained. Full sun is best. 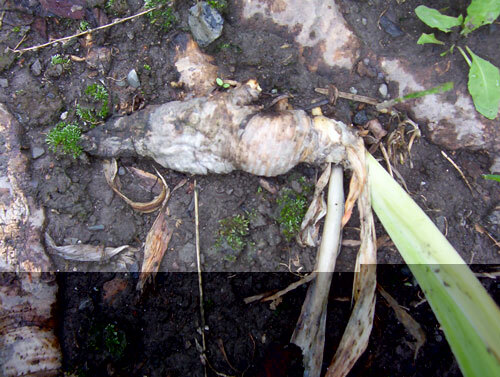 Plant the rhizomes 4-6 inches apart in groups of three. Planting should be done in the early spring. Be sure to provide good air circulation around the base of the foliage. Remove the faded flowers and break off the seed pods. In August, cut the fans down to 6 inches. What are its primary problems? How do we propagate it? 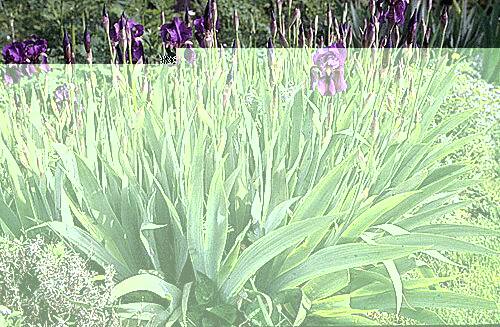 Propagate by division after flowering until August.